Peter Brooks AM MD FRACP is Executive Director Research Northern Health Melbourne and has Professorial appointments in the Centre for Health Policy ,School of Population and Global Health and the School of Medicine University of Melbourne .He established the Australian Health Workforce Institute at the University of Melbourne in 2008. 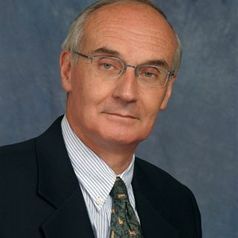 He was Executive Dean of Health Sciences at the University of Queensland from 1998 to 2009 and has held professorial positions at the UNSW , University of Sydney, Flinders University and the University of Tasmania prior to that. After graduating from Monash University he held hospital and university posts in Hobart and Glasgow training initially as a rheumatologist. He has published widely in musculoskeletal diseases ,on health education and more recently on health care and health workforce reform. He is a frequent commentator on health policy and the importance of developing an evidence base in this area. In 2010 he was awarded Membership of the Order of Australia for services to rheumatology as a clinician, researcher and academic .